A World For Children | Saving the world… one child at a time!! As a 501(c)(3) non-profit agency, A World For Children contracts with and is licensed by the State of Texas to provide foster and foster-to-adopt services for abused and neglected children across the State. 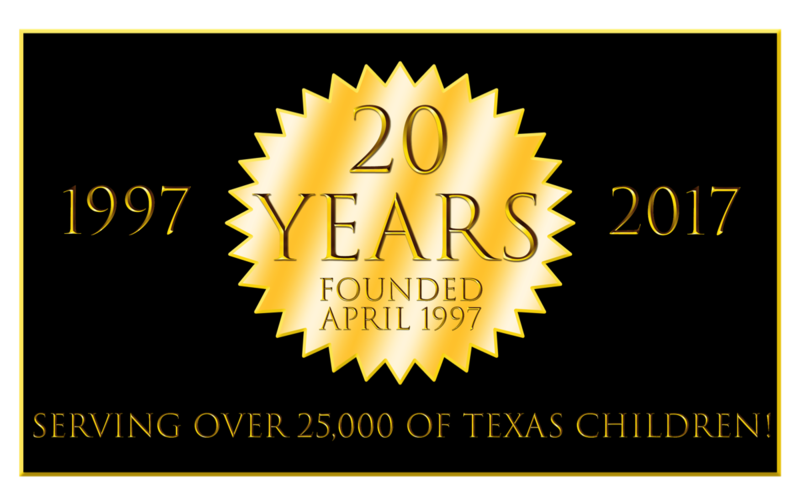 Our agency began in 1997 with a single office in Round Rock. Today, while our corporate office remains in Round Rock, A World For Children is now represented across the State, with 13 offices in the following locations: Amarillo, Brownsville, Brownwood, Corpus Christi, Dallas, El Paso, Houston, McAllen, Round Rock, San Antonio, Tyler, Victoria and Wichita Falls. Our extensive reach allows foster parents in all areas of the State to have an office close to their home to provide any support they may need. At A World For Children, we pride ourselves on being more than simply a corporation—we’re one big extended family. A World For Children helps countless children through life’s struggles, and one such struggle is having no parents to call their own. If you are interested in adopting a child, please visit our Adoption page. Fostering is a challenging and incredibly rewarding experience. Our Foster Parents specialize in providing a strong commitment to serving basic and therapeutic needs of children in care as well as providing appropriate supervision to ensure a child’s well-being. Working as an integral part of the treatment team, Foster Parents ensure individual treatments plans are addressed, and provide safe, nurturing, and loving environments. Along the way, Foster Parents communicate with all professionals servicing the child to ensure appropriate treatment at all times. Find out more about Foster Parenting, its requirements, and the next steps to take. A World for Children (“AWFC”) is partnering with members of the communities we serve to “bridge the gap” for our children. When children enter our care, they come from the worst possible circumstances. Our responsibility is to ensure that these children do not experience the feeling of being “less than” or “left out.” They do not have to be the adults and parents of their households anymore. They can, instead, just enjoy being a kid and all the magic that comes with that. Through the program, “Bridging the Gap,” we clean their hair and bodies, clothe them, and get them ready to begin a new, healthy life. If you’d like to help out, please visit our Donation page. As foster parents, we are thankful for this God given opportunity to have us open the door to our home, and our hearts to that scared face; that forced smile, that teary eye, that trembling body; a child worth loving. Fostering is neither an easy task nor a guarantee for a 100% success with every child. But giving up is not an option, it’s something worth pursuing. Family reunification is our goal but when that fails, we are there. They know someone cares!